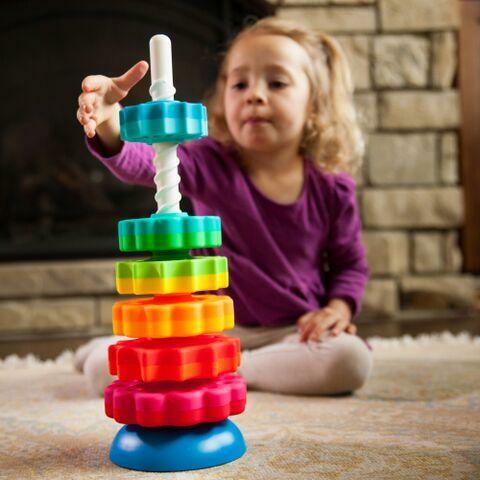 Helps kids practice their hand-eye coordination and engineering skills! Drop the vibrant discs onto the threaded corkscrew pole. Pick either the wobble base or turn it over for a solid seat. Each disc is dual-colored, and from largest to smallest, they form a dynamic rainbow. The star-like discs alternate between daisy style and star-burst shapes. BPA Free.